Including Hero Eight Hour Cream! Discover Elizabeth Arden's beauty heroes with these beautifully packaged gift sets and value kits. Elizabeth Arden Skin Care comprises a number of ranges to ensure each skin type. Tone and age group is properly nurtured. Visible Difference contains products to target skin conditions from dry and dehydrated to oily and combination. Providing the nourishment it needs with constant hydration, your skin is restored to health and left radiant. Visible Difference is a four-part daily treatment process to cleanse, tone, treat and moisturise the skin. Prevage is a luxury line of anti-ageing skin care comprising revolutionary technology to deliver powerful results. Using the powers of Idebenone, the most powerful antioxidant to address the effects of oxidation on the skin - a leading cause of visible ageing signs such as fine lines, wrinkles, sun damage and discolourations. Elizabeth Arden's Ceramide range plumps skin, boosts moisture whilst lifting and firming the skin - truly defining the future of anti-ageing skincare technology. Finally, Elizabeth Arden's Eight Hour Cream protects all skin types against the elements - a backstage favourite, it's perfect to restore chapped elbows, knees, hands and feet, to shape eyebrows, to add radiance - the list is endless. We're sure you'll find something your skin loves in Elizabeth Arden's beautiful range. Elizabeth Arden makeup products are formulated with rich pigment and nourishing ingredients. Not only to give you a long-lasting result but to deliver smoothing and hydrating effects. From classic scents of decades past to modern, fresh florals. Elizabeth Arden Fragrances are classics amongst perfume lovers worldwide. A scent to suit everyone, take your pick from the classic Red Door or the uplifting, energising scent of Green Tea. You'll be spoiled for choice! 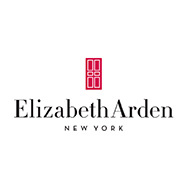 View all Elizabeth Arden products in one place. Not sure what you are looking for? Simply select your requirement and product type. One of the oldest, and most successful, skincare, beauty and fragrance brands around, Elizabeth Arden was founded in 1910 and began with a salon on Fifth Avenue in New York. The rest, as they say, is history and Elizabeth Arden is now a world renowned brand that boasts some of the most recognisable and iconic beauty staples in the industry. Famed worldwide for being reliable, yet luxurious, Elizabeth Arden beauty products begun with Arden formulating rouges and tinted powers, she even supplied striking red lipstick to the suffragettes making her a true female icon. One hundred years on the brand has now expanded to accommodate not just world-famous lip colours and foundations, but skincare and perfumes too. Elizabeth Arden Makeup favourites include the iconic Flawless Finish Foundations, the long-lasting Elizabeth Arden Beautiful Colour Lipsticks and the gorgeous Elizabeth Arden Ceramide Cream Blush too. The Ceramide Cream Blush alone is enriched with antioxidants and Vitamins A, C and E, highlighting just how above and beyond the Elizabeth Arden Makeup range goes. More than just makeup, you’re guaranteed a luxurious and radiant finish. 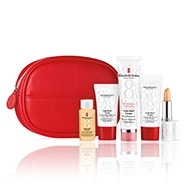 The Elizabeth Arden Skincare range includes the incredibly iconic Eight Hour collection. From the Eight Hour Cream Skin Protectant which soothes, restores, calms and helps relieve chapped, cracked and dry skin, to the Eight Hour All-Over Miracle Oil, which strengthens and moisturises the skin and nourishes hair for a radiant and healthy appearance, the collection includes a skincare solution for every need and occasion. Arden doesn’t stop there. Classic scents from the brand include the Elizabeth Arden Red Door Eau de Toilette, an elegant floral bouquet of deep, rich florals which captivated and creates a signature for the woman who wears it. On Gorgeous Shop you can find a select range of the top Elizabeth Arden products, and with discounts that are hard to beat you'll get your favourite product at a price you'll love!